OTs train and certify educational assistants who work directly with lifting students who are non-mobile or who have limited mobility. OTs provide consultation and assessment for students in Pre-K to Grade 12. They will help with fine and gross motor skill development, visual processing, sensory-motor processing, self-regulation and adapting school environments for those students not receiving services through the Saskatchewan Health Authority. Priority is given to students exhibiting aggressive or violent behaviours. OTs provide expertise on requests for equipment such as standing desks, Hokki stools or rocking chairs for individual students, for example. A referral is required for these consultations. A pre-referral must be completed and signed by the student's legal guardian. This allows the occupational therapist to discuss the student's needs further. This may or may not include direct assessment or consultation. If your child is on an IIP and not receiving OT services from the Saskatchewan Health Authority, you may request a referral to occupational therapy. Parents must first talk with their child's classroom teacher or administration to initiate the referral process. 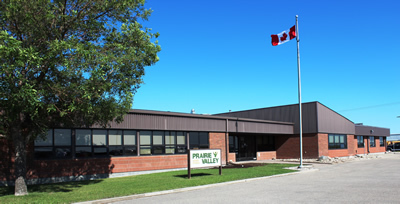 You will then need to sign the referral, consenting for the school to talk about your child's needs to the Prairie Valley Learning Supports (PVLS) team. Your consent allows the team to discuss your child's needs further and allows for the occupational therapist to be involved. Click here for a printable version of this material. Click here for strategies you can use at home. What are some of the strategies used at school to help my child? Click here to learn more about the strategies occupational therapists use in the classroom. Where can I find recommended tools and equipment? Click here for more on tools and equipment.